Here is a tree rooted in African soil. Come and sit under its shade. What languages are spoken in South Africa’s nine provinces? 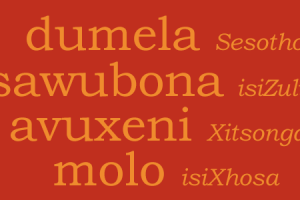 The home language of most people in KwaZulu-Natal is, unsurprisingly, isiZulu. In the Eastern Cape it’s isiXhosa. Around half the people of the Western Cape and Northern Cape speak Afrikaans. In Gauteng and Mpumalanga, no single language dominates. Each of South Africa’s 11 languages has a fascinating vocabulary, with some words and phrases influenced by other languages, and many unique to that language. Learn a little South African with these animations. South Africa has 11 official languages and a multilingual population fluent in at least two. IsiZulu and isiXhosa are the largest languages, while English is spoken at home by only one in 10 people – most of them not white. 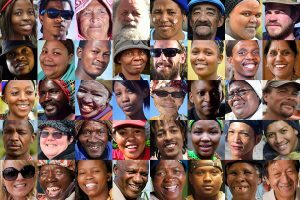 What languages do black, coloured, Indian and white South Africans speak? Nearly a third of black South Africans speak isiZulu as a first language, and 20% speak isiXhosa. Three-quarters of coloured people speak Afrikaans, and 86% of Indian South Africans speak English. Sixty percent of white people speak Afrikaans, and 30% speak English. How big is South Africa?